Something wild happened on the west side of Stanley Park this past summer. 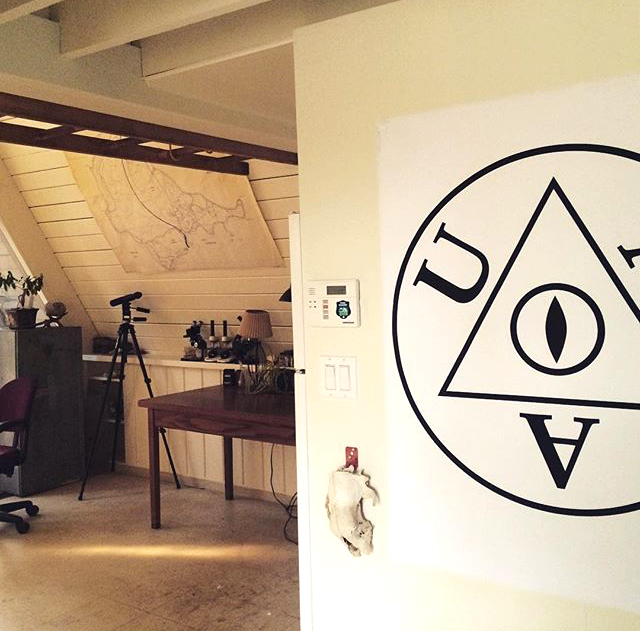 Stanley Park Ecology Society teamed up with a new local art-science collective that call themselves the Urban Animal Agency (UAA) whose objective is to explore and challenge the idea that the city is a purely human environment. In partnership with Vancouver Park Board – Arts, Culture, and Engagement, and with support from City of Vancouver Community Arts Grants, the UAA used the old Park Rangers’ headquarters A-Frame on the west side of the Park to explore and illuminate the city as a shared habitat between both human and non-human animals. Entrance to Urban Animal Agency (UAA) in the A frame at Second Beach. They worked closely with SPES to provide daycamp sessions once a week with SPES’ first ever summer daycamps, as well as host a number of evening open houses for the public. This included a daycamp session that looked at how motion-triggered cameras are increasingly being used to monitor the presence and abundance of urban animals for research, while also talking about the use of cameras in art. They even got into issues of respecting privacy and anonymity in the digital age, an issue important to kids. 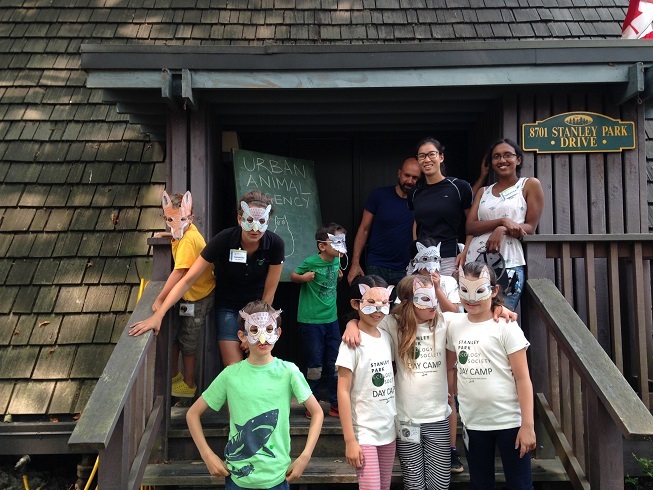 The class really got swinging once the kids donned their own customized animal mask and played a game of hide and seek with hidden cameras. Daycamp sessions like this continued until the end of August. SPES day camp participants become ‘other’ urban animals with UAA. On July 21 and August 18, the UAA opened their doors to the public and welcomed interested participants to check out some of the ways they are looking to explore more-than-human environments. One room was dedicated to sharing urban wildlife encounter stories which will be catalogued and added to an online map over time. Another room was dedicated to animal artefacts, asking to be catalogued and labeled by visitors. To find out more, please visit www.urbananimalagency.ca .